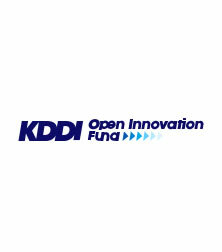 KDDI Open Innovation Fund is a corporate venture capital investing in promising startups both domestically and internationally, operated by KDDI CORPORATION and Global Brain Corporation (fund manager). We provide a full scale support to our partner startups through the offerings of; utilization of our business networks and marketing skills, collaboration with our services including au Smart Pass, along with business management from Global Brain, a firm with a wealth of experience and expertise supporting venture businesses. 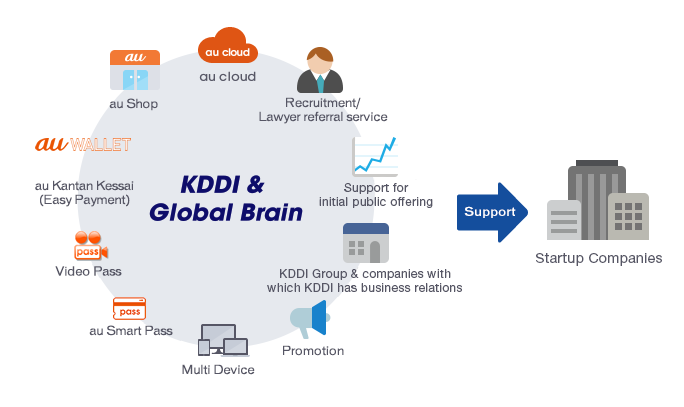 In April 2018, KDDI newly established KDDI Open Innovation Fund 3 (KOIF3) with Global Brain. The fund programs established with KOIF3 will reinforce efforts by KDDI and its group companies to use their networks among venture companies as well as their experience and knowledge of technology and business to seek out promising venture firms in fields such as AI and IoT, which will grow ever more crucial in the 5G age. The fund programs will also make it possible not just for KDDI but also for its group companies to proactively undertake joint development efforts with venture companies.